Why would I need self storage in Hickory, NC? There are a variety of reasons why you might need self-storage in Hickory, NC. How much is a storage unit in Hickory, NC? The cheapest storage unit in Hickory, NC is $28.00 per month. What size storage units do you have available in Hickory, NC? In Hickory, NC we have sizes that range from 5'x5' to 20'x20' to suit your storage needs. How much is it for a 5'x5' storage unit in Hickory, NC? The cheapest 5'x5' storage unit in Hickory, NC is $28.00 per month. Hickory is the economic and cultural heart of the Catawba River Valley, a region in North Carolina's Catawba County. The city hasn't stopped growing since its founding and has experienced several major population booms in recent decades. Hickory has a dynamic, flourishing economy and numerous local amenities that have consistently attracted new residents to the area. Henry Weidner, a German immigrant living in Montgomery, Pennsylvania, was the first person to buy land in the area now known as Hickory. William Hale, who opened Hickory's first store and a post office, soon joined him. Henry Robinson, one of Weidner's relatives, built one of Hickory's most prominent buildings, a simple log tavern, in the 1850. His tavern became known as Hickory Tavern because it sat underneath a hickory tree. The township adopted the name Hickory Tavern in the tribute to the inn, and in 1873, the name was shortened to simply Hickory. In the 1900s, many locals began to experiment with furniture making, which remains a major industry of the local economy. 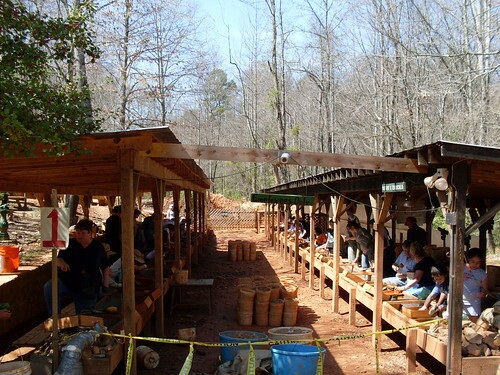 Today Hickory is home to various attractions that offer something for everyone. If you enjoy arts and culture, you'll likely appreciate the Hickory Museum of Art, the first in the Southeast to house a significant American art collection, and the Hickory Community Concert Association, which hosts music performances by well-known talents. A minor league baseball team and a motor speedway offers exciting sporting events. Hickory is also home to the Catawaba Science Center, the Ivey Arboretum and the Hiddenite Mines. The city has enjoyed consistent population growth as it's gained popularity for its low cost of living, beautiful mountain scenery and friendly small-town feel. It also has a healthy economy and a low unemployment rate, which is good news if you're looking for a job in the area. As is true for nearby towns, Hickory is home to major furniture makers. Hickory White, formerly known as Hickory Manufacturing Co., is one of America's oldest still-operating furniture- making companies. There are also many jobs outside this large sector. Grocery wholesale firm MDI Management, Corning Cable Systems, and Valley Hills Mall all provide a range of job options in the city. Hickory City School District manages the elementary, middle and high schools in Hickory, including a magnet high school and a colleg- prep campus. There are also many private schools in the area, many of which are Christian secondary schools. Hickory is home to several small college campuses, so you can easily pursue your higher education goals. Catawba Valley Community College and Lenoir-Rhyne University are just two of several post-secondary schools in the city. Utilities: Hickory's primary utility providers are Duke Energy, Piedmont Natural Gas and the city's own utilities department. Garbage and Recycling: The city of Hickory's sanitation division facilitates trash and recyclables collection as well as several other disposal services. Transportation: Greenway Public Transportation has fixed public transit routes through Hickory and the neighboring cities of Newton and Conover. Homes in Hickory are affordable, with prices that are considerably lower than the national average. Its neighborhoods feature pre-war properties, retro dwellings from the 1960s and '70s and modern homes built after 2000. You'll be able to take advantage of Hickory's wide housing selection to find something that's the perfect match for you. 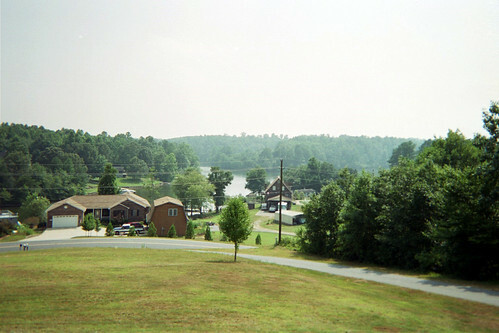 Our lowest priced units in Hickory, NC average $28.00 per month. 76 people have reserved units in Hickory, NC in the past 30 days. There is 1 location within Hickory, NC's city limits.